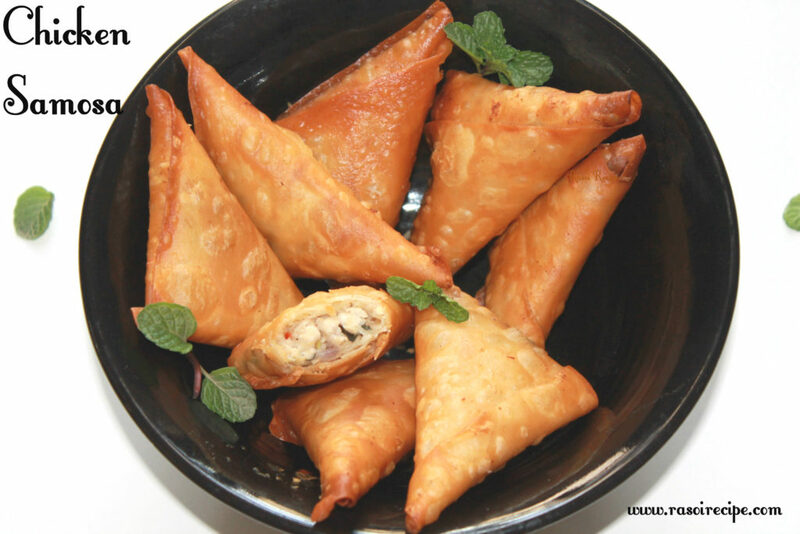 Today’s recipe is ‘Chicken Samosa’. 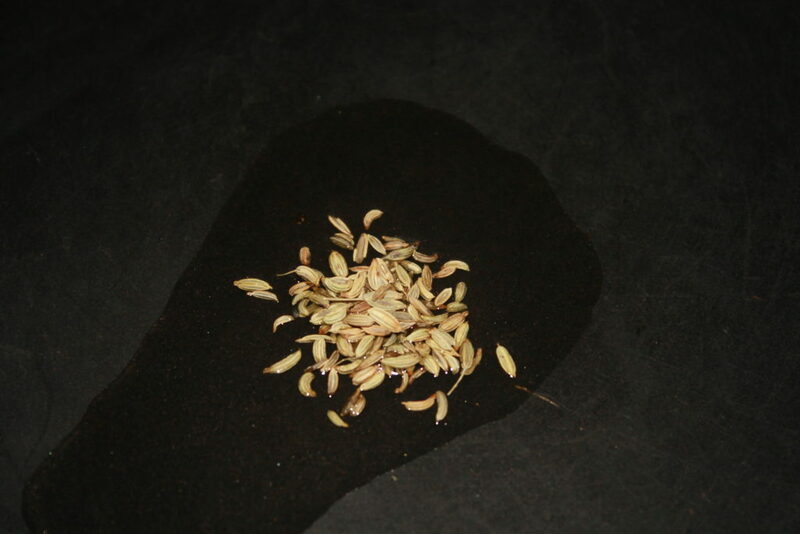 It is an easy non-veg snack recipe. You can serve it as a starter or tea-time snacks. 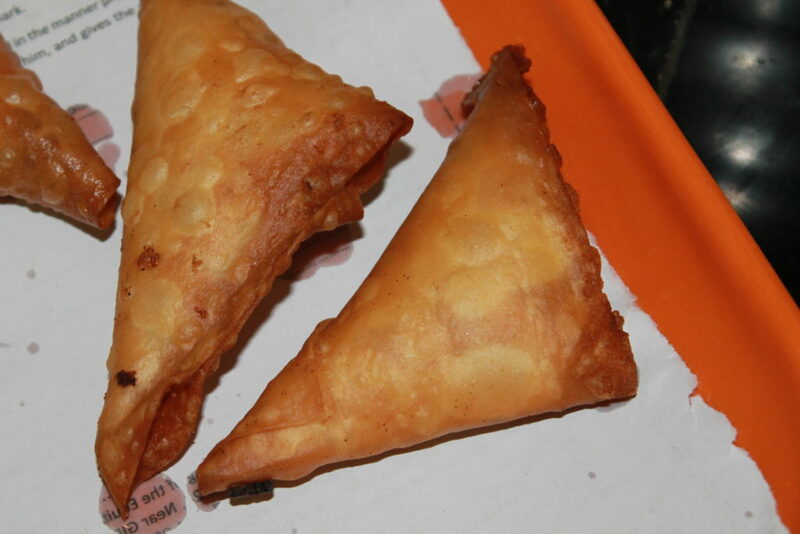 Samosa is loved by almost every generation. It can be enjoyed with green chutney/schezwan sauce/any chutney of your choice. 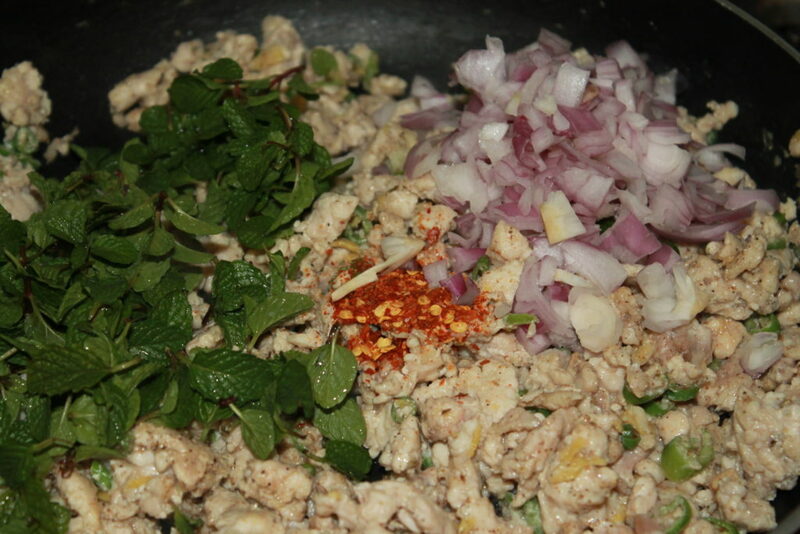 For this recipe, you need following ingredients – Chicken mince, onion, mint leaves, green chillies, samosa patti and few spices. 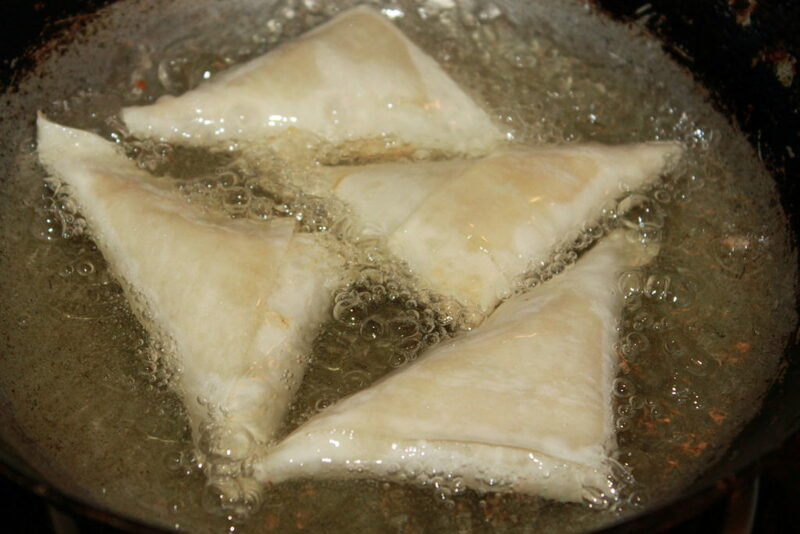 I always prepare my samosa with samosa pattis, it is a quick method to make samosa. 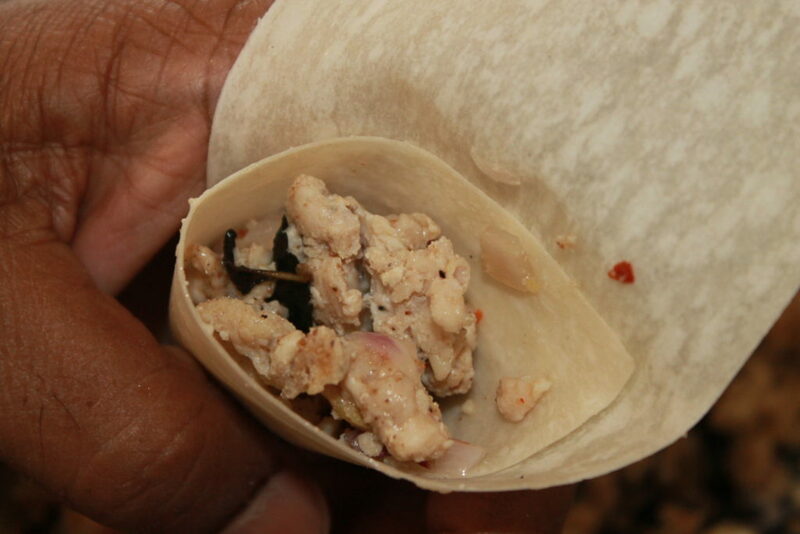 If you do not have samosa pattis available at your place, you can also use roomali rotis as a cover. 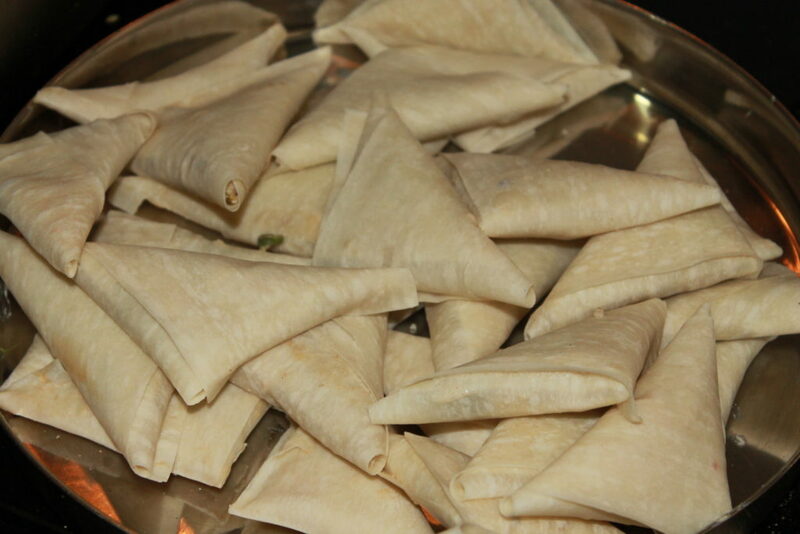 If you want to prepare samosa patti at home, you can check the recipe for it here. 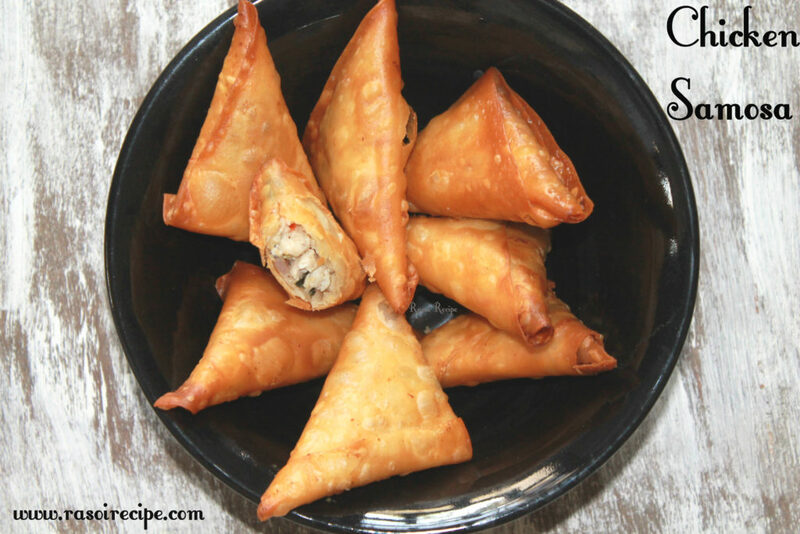 I have shared recipes of samosa, both veg and non-veg, you can check them also – Keeme Ke Samose | Minced Meat Samosa Recipe, Crsipy Onion Samosa, how to make onion samosa | Irani Samosa, Moong Dal Samosa (Rajasthani special samosa recipe). 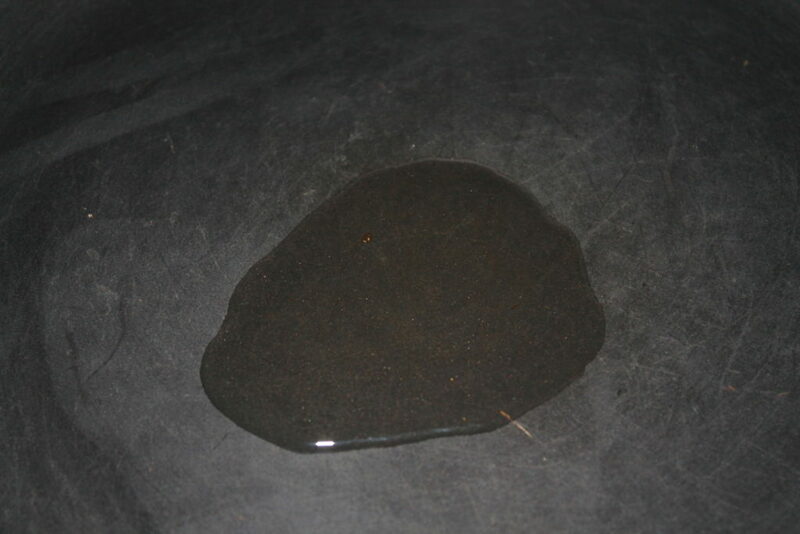 In a frying pan, heat a teaspoon of oil. 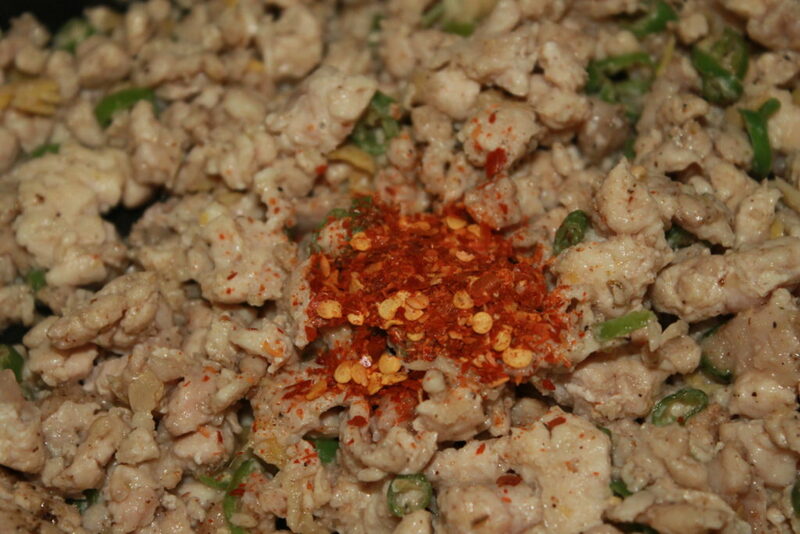 Add fennel seeds in the oil. Saute for few seconds. 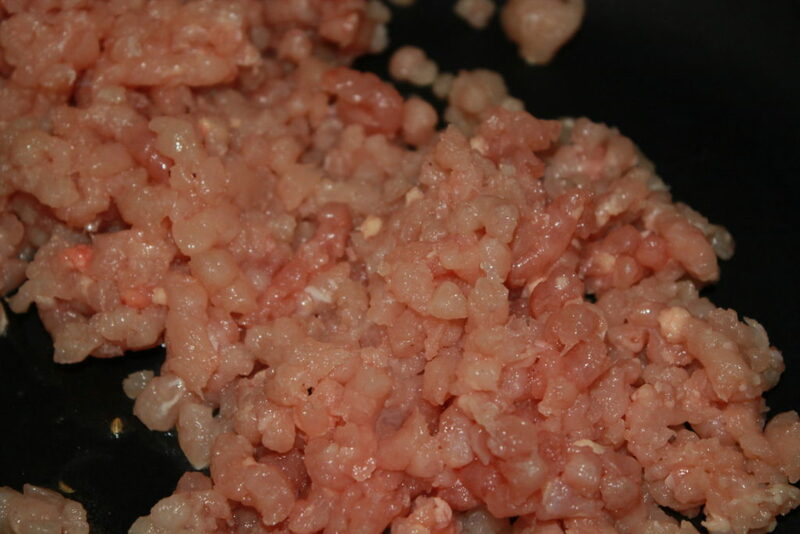 Add chicken mince in the pan. 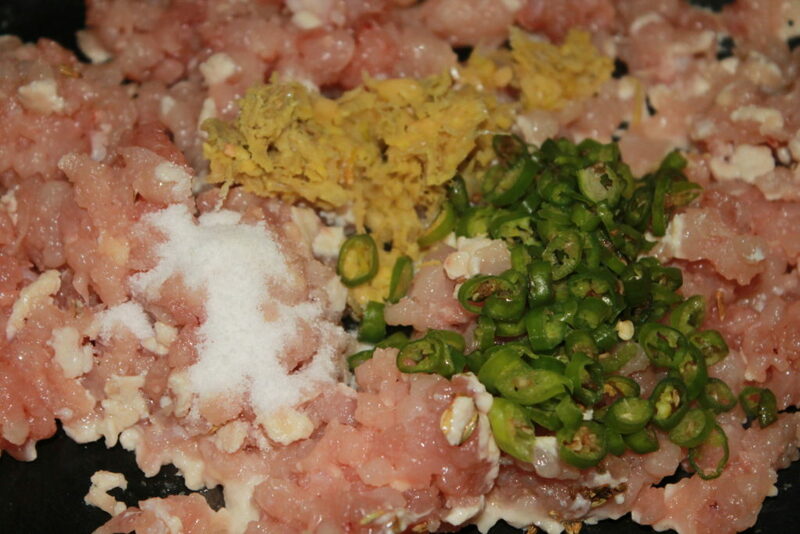 Next, add chopped green chillies, salt and crushed/grated ginger. Mix well. 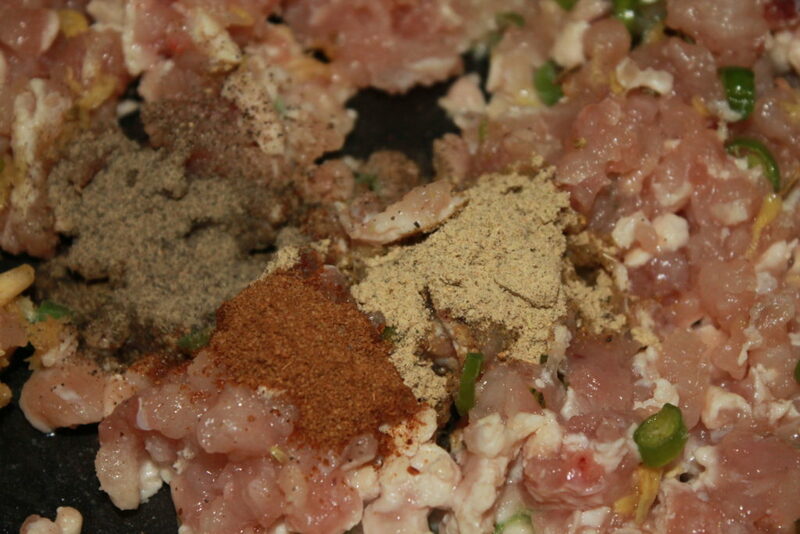 Now, add chaat masala, roasted cumin powder, and black pepper powder. 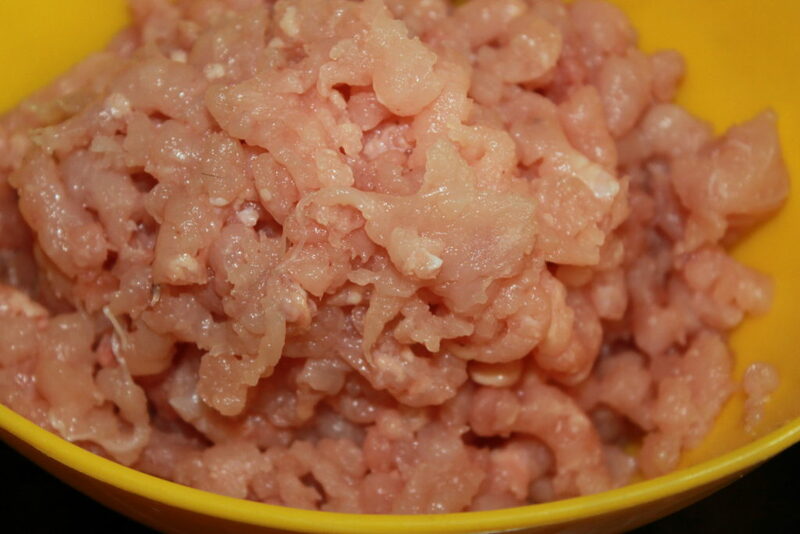 Cook till chicken changes its colour from pink to white. 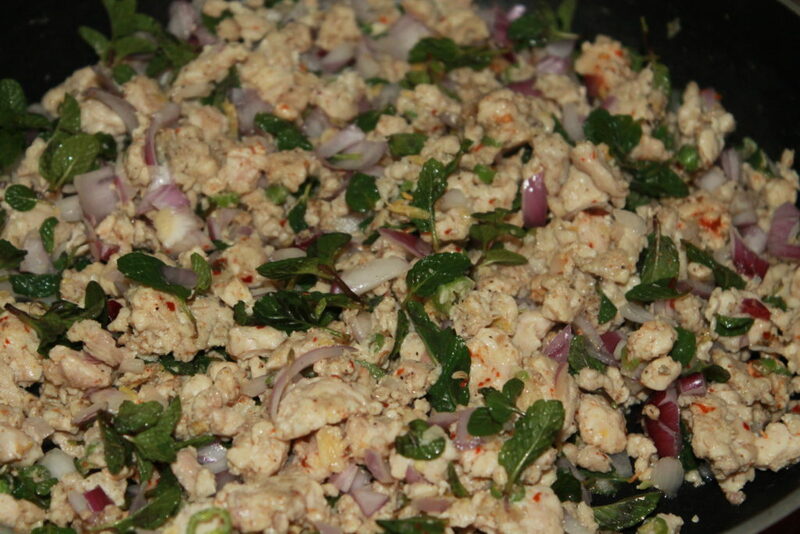 When chicken is cooked nicely, add red chilli flakes, chopped onion and mint leaves. Mix well. Switch off the flame immediately. Keep the filling aside for few minutes. 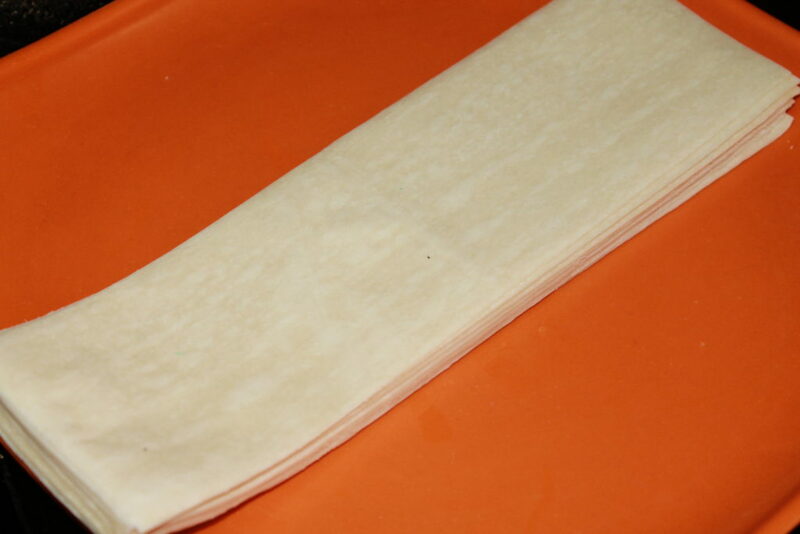 Now using strips, start preparing samosa. Heat sufficient oil in a deep pan for deep-frying. Fry until golden. Strain and keep aside. Fry all the samosa in small batches.